The prolific Patrick Colm Hogan published two books last year, both of great interest to readers of OnFiction. The first of these is What literature teaches us about emotion. 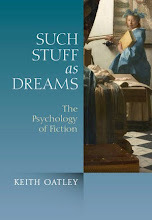 Hogan has an especial knowledge of Shakespeare as well as an extraordinary familiarity with world literature, and this expertise enables him to bridge between psychology and literary theory, by offering examples in which people interested in the emotions can discover important understandings of specific emotions such as romantic love, grief, and guilt. Such emotions are different from those usually studied in the laboratory; literary studies are thereby complementary to laboratory studies. One might say that literature has allowed a search over a much wider space of experience, and with a far deeper thoughtfulness, than is usual in psychology. 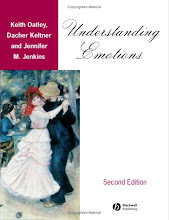 The book is also a study of particular works, but with a perspective that is different from that of the usual kinds of literary analysis; it's a study of how these works function specifically to explore and throw light on emotion. The second book is Affective narratology, the emotional structure of stories, in which Hogan shows that the structure of stories is a product of human emotion systems. In one analysis, Hogan focuses on time, and shows that it doesn't spread forward evenly like clock time. It's jagged, with times of intensity and times when nothing much happens. The intense times are the times of emotion. Stories are told in a way that follows this pattern, with a concentration on the moments of emotional significance, and omission of the rest. Although he doesn't discuss it in this book, I was reminded of Frank Kermode's The sense of an ending, in which he depicts the ticks and tocks of clock time as both inexorable and meaningless, so that stories which usually have the sense of an ending can offer us meaning which acts as a consolation. Though I find Kermode one of the most worthwhile of literary scholars, consolation seems such thin gruel. Hogan's idea is better, and closer to the truth. It's our emotional structures that give meaning to life in our loves, our strivings, our disappointments. Stories reflect such structures, and enable us to reflect on them. In a further kind of analysis in his narratology book, Hogan recounts how life has periods of normalcy, which are interrupted by emotions. Story structure too, follows this pattern, tending to move from a normal period, or an implied normal period at the beginning, to a disruption, and then towards an ending in which a new normalcy is established. Hogan discusses how three emotional story themes are universal and occur throughout the world. 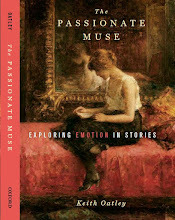 He calls these stories of suffering, of the heroic, and of the romantic. He discusses, too, some themes that are less prevalent worldwide: interruption of attachment, the progress of sexual desire, trajectories of revenge, and criminal investigations, each of which is also a development of an emotional theme, starting from a state of normalcy which is disrupted. 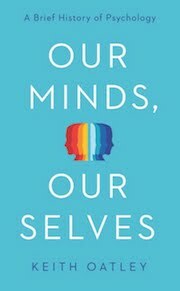 Hogan ends his book by suggesting stories help us understand and develop the structure of our own emotional lives. No one has done more than Patrick Hogan to bring literary theory and cognitive science together. It's significant that the interface of this bringing together is emotion. Hogan, P. C. (2011). 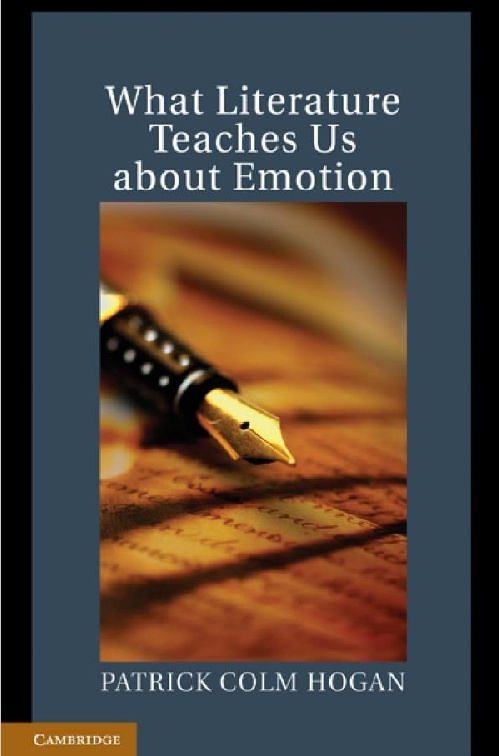 What literature teaches us about emotion. New York: Cambridge University Press. Hogan, P. C. (2011). Affective narratology: The emotional structure of stories. Lincoln, NE: University of Nebraska Press. Kermode, F. (1966). The sense of an ending: Studies in the theory of fiction. Oxford: Oxford University Press.